A couple of days before the Academy of Motion Picture Arts and Sciences (AMPAS) announced its nominations, I tweeted that "Cine's Oscar (2016) Predictions > 90% wins will go to white male directors, writers and films with male-centered themes". I purposely said 'wins', rather than nominations, because if most of those nominated are white...well, you get the idea. The annual Oscar nominations predictably favor their own, and sadly, the Academy has the statistics to prove that most of the nominees are white and male. This year's nominees for all the major categories - Best Picture, Best Director, Best Actress/Actor, and Best Supporting Actress/Actor are entirely white, with the Best Director again nominating zero females. Since the nominations were announced on January 14, every media outlet and film critic - not to mention social media user - has hit their keyboards to discuss, denounce and question the overt racism and sexism of the Academy. Jada Pinkett-Smith, Lupita Nyong'o, and Academy President Cheryl Boone Isaacs expressed collective "disappointed" (Translation: "I'm mad as hell."). 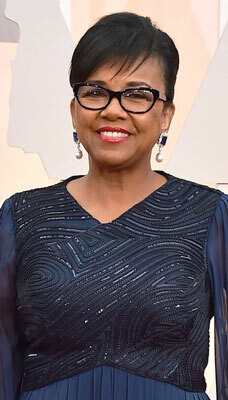 Ms. Pinkett-Smith promoted her views via a Twitter video, calmly suggesting a boycott of the award show. It was a beautiful moment, where a challenge was never more gracefully hurled. 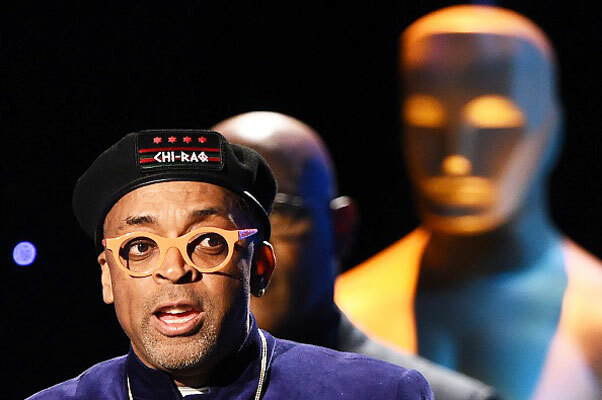 Spike Lee backed up Pinkett-Smith, only to disavow several days later that he "...ever used the word boycott". George Clooney noted, "...we're moving in the wrong direction". Actresses Janet Hubert and Stacey Dash disagreed with Pinkett-Smith and transgendered personality Alexis Arquette outed both Will and Jada as "gay hypocrites". The wall of silence from Hispanic and Asian actors continues and may be due to their progress on the small screen - and a healthy dose of cynicism for the Academy's narrow playbook. What is most intriguing is that the media hasn't cornered any of Hollywood's female directors to offer their perspective. The detractors are making their voices heard, seeking to trivialize the systemic discrimination. 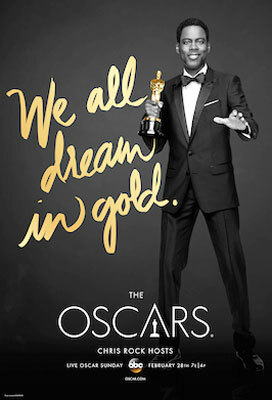 Yet an Oscar means many things to the entertainment industry, beginning with the studio and traveling through each tier of the film business. Studios, producers, directors, screenwriters, actor, etc., see this award as added prestige, one that crowns a career throughout cinematic history. It ensures that the entire project will always be known as either an 'Academy Award nominated' or 'Academy Award winner' - forever. Those nominated will find it easier to get funding for a future project, not to mention that the nominated or winning film will make more money during award season. 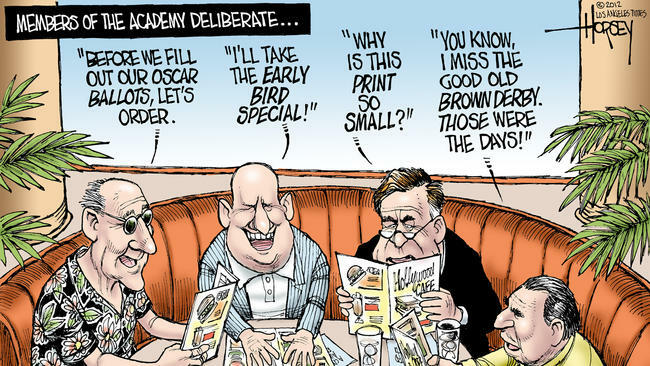 If there were no added bonus to an Oscar, then studios wouldn't spend millions to win one and there might not be any reason for the Academy to exist. It's pretty clear that Hollywood's "leaders" are not leading anyone - except white males - in the right direction, Mr. Clooney. The membership - like the American voter - may elect people with similar political views or share a common gender, but it doesn't appear to be working for most Tinsel Town citizens. 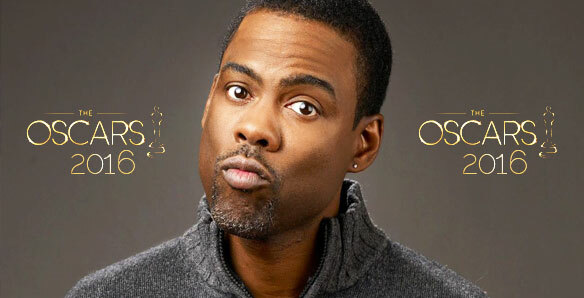 Pressure is mounting for Oscar host Chris Rock to step down in protest, as other stars begin to add their names to the Boycott column. Of course, no one wants to jeopardize or limit potential jobs, but showing support against this annual rite of racism and sexism is one way to again balance those fallen scales. Yet, the Academy is, after all, only reflecting the systemic racism and sexism in America, because the dual purposes of Art is to reflect Life as it is - and also how we'd like it to be. When the Black Lives Matter movement reached critical mass, it reminded me of the glory days of political and cultural activism in the 60s and 70s. Their response to the wave of racist violence in America reflects Life back to the Artist, and so it should come as no surprise - to anyone - that this annual issue has come full circle. This most exclusive and private professional film society is still woefully segregated, actively practicing gender/racial bias against the diverse Hollywood entertainment industry. Like the Confederate flag, it's time for Hollywood to practice what they preach. 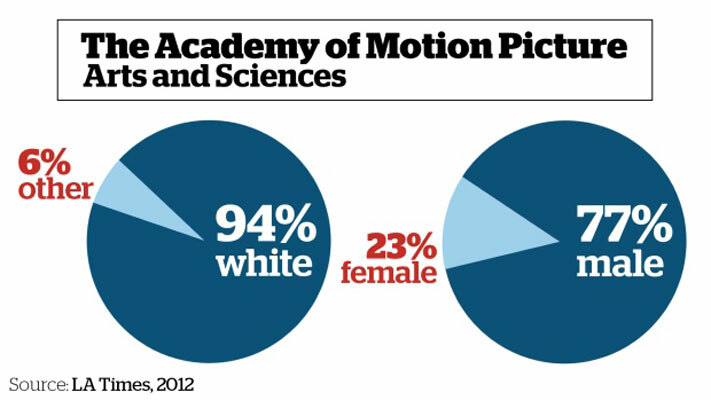 Currently, the Academy membership hovers around 6300, with 94% white and 77% male. That leaves a scant 6% in the 'other' column, with female members at only 23%. The statistics by age are even less comforting: 54% are over 60, 25% are in their 50s, 11% are 40 something and only 2% are under 40. Changing these statistics might go a long way to improving their image - and the televised ratings. Consider too, the misogynistic treatment towards the Female Director. Women had to wait until 1976 to see Lina Wertmuller nominated. Then another nomination sprung to life in 1993 for Jane Campion's The Piano. Ten years went by before Sofia Coppola's name was added to the 1993 list of nominees. After a few more years of public grumbling, 2009 finally saw Kathryn Bigelow win the first Best Director award for a woman - lucky for her it was a male-centered war film! Since then...crickets chirping. So in 88 years, only four female directors have been nominated, and during each annual award show season, male directors - and the Directors Guild of America - are noticeably silent. The main obstacle of course, isn't just the demographics of the membership, but the politics of the institution itself. 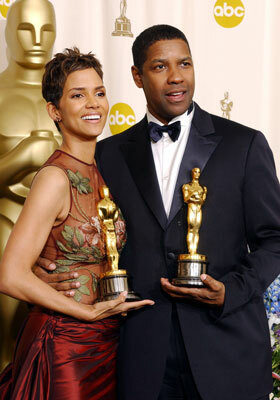 In 2002, Halle Berry won Best Actress for Monster's Ball, Denzel Washington took home a golden statue for Training Day and Sidney Poitier was awarded an Honorary Oscar. How did that happen and who collectively decided that? I've always maintained - and will continue to suspect - that the ballots are cooked after PriceWaterhouseCooper finishes the complex process of "proportional representation" in reaching the coveted nominees list. They tally the votes for potential nominees and then allow the membership a straight up and down vote for the winners. If the Academy was even more restrictive in 2002 - and I've no doubt that it was - by what process were these Oscars given on March 24 and why? Perhaps the passionate outcry in Hollywood at people of color being snubbed during awards time during the previous year? Many actors and actresses were absent or gave searing interviews, castigating the Academy's racism. In a business where Public Relations rule, suddenly the scales of justice were temporarily tipped to redress decades of racism for the 2002 awards. The intriguing question still lingers though - Who decided this? If the Academy board can bypass their own rules and traditions to balance the color scale for one show, then it suggests that the entire show is rigged anyway. But what would happen to the PriceWaterhouseCooper duo? Academy rules can easily be changed - after all, who would quit the Academy because the voting or membership criteria is less restrictive? Extending the Best Director category would help give female directors a better chance of being nominated, too. I would like to see more films included from the entire year, and not just the top money-makers from October to December. And in order to permanently guarantee diversity across race and gender, artists should pool their resources to create more independent production studios. This film critic would like to see more stories that promote diversity, rather than just packaging a black-only or white-only story to haul out at Oscar time. Films go a long way to raise consciousness and awareness, but are audiences still stuck in a one dimensional stage of the segregated perspective? Again, it might be because our society is still so color and gender fixated that these are the easy stories to tell, but inclusion has to be translated into film scripts that reflect the positive changes we want to see. It might be time for the film industry to take a page from the democratic nature of television, now enjoying a new era of diversity in casts and stories. I'll end this essay with another prediction: If the Hollywood community does not raise their collective voices in sustained actions of protest and creative promotion, future Academy Award shows will produce similar results.